At this point, we’ve all seen so many of these fancy little time-lapse films and tilt-shift photographs that most of us turn away with a yawn when we see yet another. Few people seem to have a genuine idea of what these techniques really can do and just use them because they are pretty. However, there are exceptions. 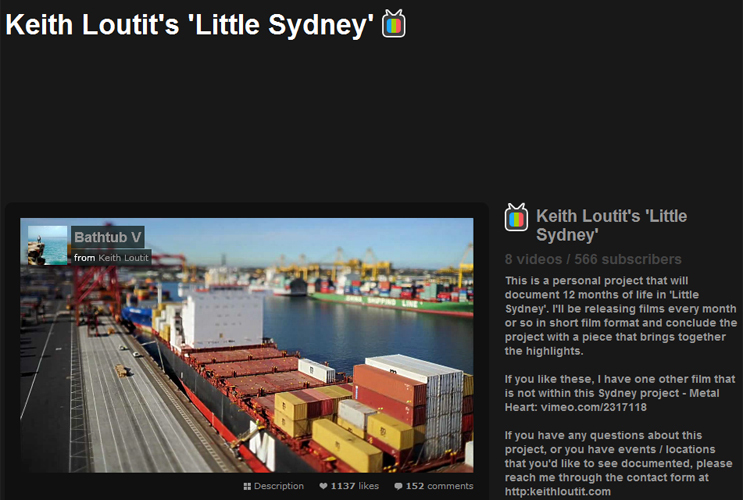 Take a moment to check out these truly wonderful works of Keith Loutit, a Sydney-based photographer who has mastered both tilt-shift and time lapse technique like few others before. In his short films, he creates perfect illusions of little miniature worlds – but everything you see is real. A fact that I have to constantly remind myself of when I watch his films (and I watch them a lot!). In Keith’s own words, these “photographs and short films were made in ordinary places, probably not too unlike where you live. Combining a variety of techniques, I aim to help people take a second look at places that are familiar to them.” I couldn’t agree more… But enough said – judge for yourself!